Evelyn Jones Rich has devoted a lifetime as advocate and activist in the fight for right and justice against those who would deny equal opportunity based on race, religion, gender, national origin, and sexual preference. Born into a working class family in Philadelphia, Evie joined Students for Democratic Action (SDA) at Bryn Mawr College and has embraced the principles of liberalism/progressivism ever since. 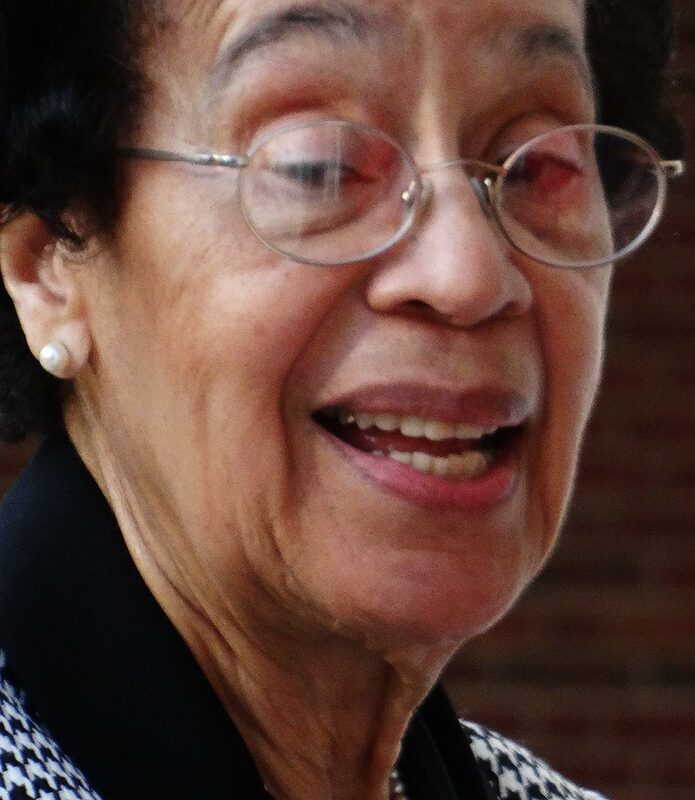 Active in student government, Evie also joined the National Student Association (NSA), The Young Adult Council (YAC) and the World Assembly of Youth (WAY) in fighting segregation and discrimination in the early 1950s. Representing the U.S. at international youth conferences, Evie met young men and women from colonial areas in Africa and Asia, many of whom went on to play leading roles (presidents, UN delegates, etc.) in newly independent nations or to become leaders of liberation movements in Southern Africa during the 1960s. Introduced to the Congress of Racial Equality (CORE) by her future husband, Marvin, Evie used the power of non-violent direct action to improve her advocacy and activist skills. They have guided her through a career as educator, foundation executive, and advocate for senior citizens. There have been many causes along the way. They include taking teachers to Africa to develop realistic curricula for U.S. elementary and secondary schools, lobbying the NY State legislature for adequate school funding with the Educational Priorities Panel, testifying before local and state legislatures on a host of issues from redistricting, to health care and aging concerns and helping elect progressive candidates to political office with Americans for Democratic Action (ADA). Evie continues doing all this today while caring for her husband insisting that she’s retired but she is not tired.